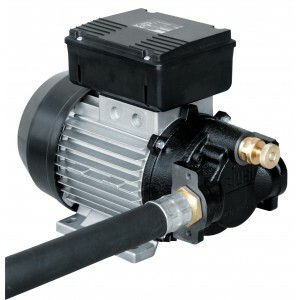 Electric vane pump for pumping fluids of a viscosity up to 500 cStDimensions: 35 x 20 x h. 28 cmWeight: 14,1 Kg. Voltage: 220 V. - 1150 Power Watt - 5,5 Amp. maxFlow rate: 50 lt./min. Electric vane pump for pumping fluids of a viscosity up to 500 cStDimensions: 35,5 x 18,5 x h. 28,5 cmWeight: 14,1 Kg. Voltage: 220 V. - 1150 Power Watt - 5,5 Amp. maxFlow rate: 25 lt./min.